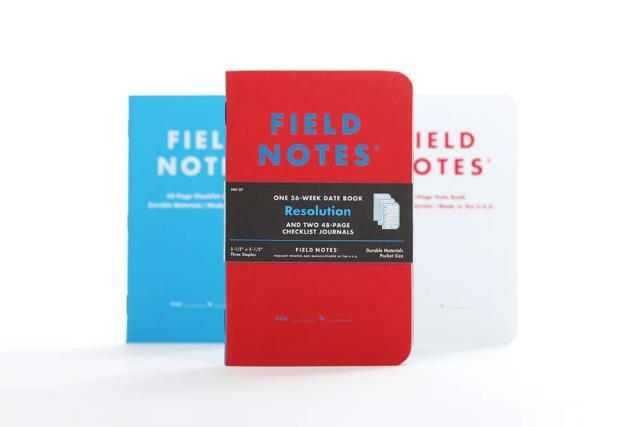 Make plans and stick to them with the help of these Resolution memo books from Field Notes. Each pack includes a date book and two checklist journals. The date book includes 56 pages, each one with spaces to plan out a week's worth of events and reminders. 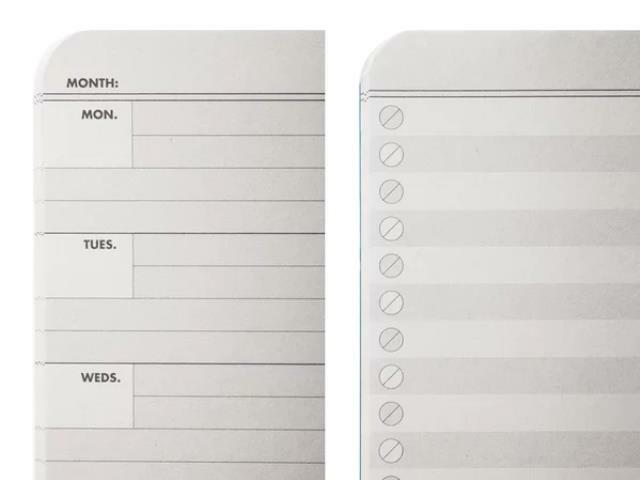 The checklist journals each include 48 pages with 19 to-do lines on every page. Each line has a "screw-head" check symbol, which you can use to mark partially and fully completed projects. Like other Field Notes books, these are durable and flexible, bound with three rugged staples and designed to survive any pants pocket. Inside the front cover, you can write in your contact information and, with a sense of humor, indicate whether or not the person who returns your lost book will be rewarded. The inside back cover lists "practical" applications for the memo books such as #15, "Priorities Prioritized." The Field Notes story and further specifications are also presented. The books are manufactured and printed in the USA, using acid-free paper and soy-based ink. * Please call us or submit a quote request for pricing and more information about our field notes resolution in Albertville, Marshall County, and Northern Alabama.